Suresh Kotwal, Dinesh Kumar, Shivwani Thakur, Tajali Nazir Shora, Deepika Dewan, Kiran Bala. Background: Success of public health programmes is dependent on its inherent flexibility to continually incorporate new evidence and new experiences made available through timely, accurate, and relevant information. Unfortunately, routine health management information systems do not provide desired inputs at appropriate times. Objective: To ascertain the feasibility of establishing and operationalizing health and demographic surveillance system (HDSS) in a defined rural population of district Jammu. 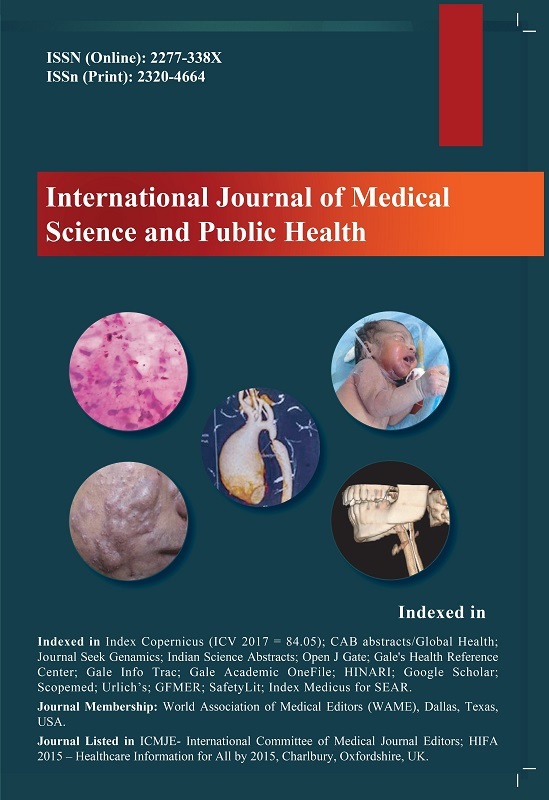 Materials and Methods: The present study was carried out in 6 villages in field practice area of Postgraduate Department of Community Medicine, Government Medical College Jammu selected using multistage random sampling methodology. Study area was mapped manually and by using geographic information system (GPS Etrax® system) depicting all households and associated landmarks. All the households were listed and assigned an alphanumeric unique identification number. Information on predesigned formats was then obtained from all listed households at initial and subsequent visit made at 6 months. Possibility of linking facility based data was also studied. Verbal autopsy was conducted as per International network for the demographic evaluation of populations and their health (INDEPTH) standardized verbal autopsy proforma. Result: An HDSS was visibly functional within 6 months’ time of initiation of the project using available manpower, space, and local support. No constraints were felt with regard to availability of separate space for HDSS as it was provided unconditionally either by the health care institution or panchayat. Local health workers and volunteers were retrained by the investigator for which no extra funds were needed. However, no vehicle for transportation was available, therefore personal vehicle was used to move from one village to another. It took 113 days (553 h) for a team of one investigator, one health worker and one volunteer to complete mapping, assign unique identification numbers, and collect baseline information of 1030 household spread over 3.56 km2. Repeat survey took 60% less time i.e., 45 days or 225 h. Each household consumed 15–25 min on initial visit and 10 min on follow-up. A single verbal autopsy took longer time (60 min) to complete. Conclusion: The study demonstrated that HDSS can be established and operationalized using available human and non-human resources albeit with little training and technical assistance. No significant bottlenecks were encountered in operationalizing HDSS. Vehicle, upgradation of available space, data management tools, incentive for staff, and volunteers would be needed to sustain HDSS.